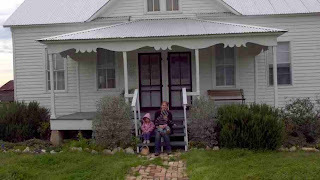 This is a picture of me with my daughter (then 2) and my son (then 1) at the Hluchanek House located in the Czech Village at the Texas Czech Heritage and Cultural Center in La Grange, Texas. My husband took the picture and was holding our other son (then 0 years old). I really feel a special kinship with my deceased Czech ancestors, having had three children both spaced 14 months apart in age. So many of my ancestors had similar birth spacing. I wonder how they did it, because it’s really, really, really difficult sometimes for me, and I have a world of modern conveniences that were unimaginable back then. They had at least two distinct advantages over us, though. First, the expectation of children to engage in physical labor from a very young age, and second, easy access to grandparents (and other family). My kids “help” clean up their toys and spend a lot of time at the zoo/park/friend’s house etc. With our recent move, we are the closest we have ever been to grandparents, and they are still an 11 hour car ride away! My Czech ancestors were not mobile in at all the same way as we are today. They lived and died in the same tiny village, near the majority of their kin. My favorite thing about when we lived in Utah was our proximity to so much family, but even then my parents were across the country in Massachusetts! Anyway, if you can, you should visit the TCHCC. It’s an incredible center with loads of genealogical resources in a surprisingly large library. The people are very friendly. And as far as a venue for events, it’s got it all, including an enormous chandelier in the dining area. The real gem, for my family at least, was the Czech village. We visited this place several times with extremely young children, and it was educational, fun, and helped me understand Texas Czech heritage on a different level. It will make your family history come alive to you, because you will be able to imagine on a physical level what their lives were like. How every day was filled with hard physical labor on the farm, how their homes may have been organized, how their family worked together to accomplish their goals. 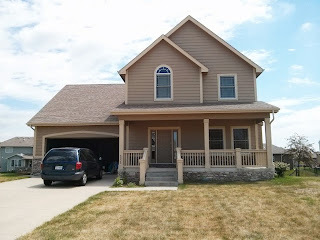 On a sort of related note, we closed on our new home in Ankeny, Iowa yesterday. I love Texas, and I also love Iowa. The people here are friendly, and the commute is much better for our family. There is also a large population of Czechs in the Midwest! Of course, the Chicago area, but also Nebraska and…Iowa! I am thrilled to be settling in, and able to focus more on my genealogy goals and client research. Please contact me if you need some help with your research!